At last week’s Consumer Electronics Show (CES) in Las Vegas, I had the opportunity to host a podcast that is part of GMDC’s ongoing Retail Tomorrow initiative, which also has created a series of “immersion” conferences - in Silicon Valley, Toronto, Seattle and New York, with upcoming events scheduled for Los Angeles and Boston - at which people can do a deep dive into not just best practices, but next practices. 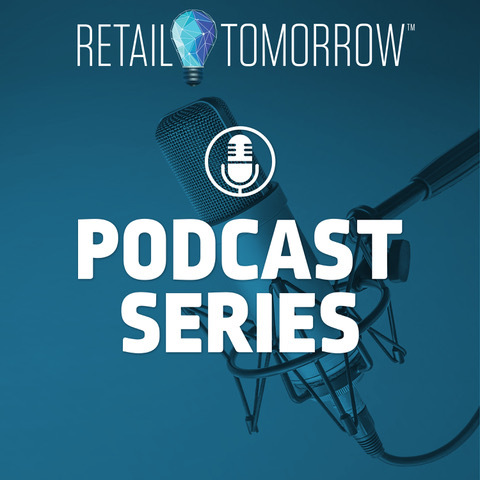 Our podcast at CES - the first in a new series that will run throughout 2019 - was designed to not just consider some of the themes and products on display at CES, but the larger issue of how retail and brands think about innovation and develop cultures that embrace disruption. • Morri Chowaiki, Head of Sales and Retail for Daymond John at The Shark Group. • Seraj Bharwani, Chief Strategy Officer at AcuityAds. • Tom Furphy, CEO and Managing Partner at Consumer Equity Partners. • Benjamin Winters, Vice President, Marketing Services & Automation at Ideoclick. The podcast is available below, as well as on iTunes and Google Play. I hope you find it as fascinating as I did. Enjoy. Amazon-owned Whole Foods reportedly has decided to end its experiment with the “365 by Whole Foods” format, which was designed to offer lower prices, use more technology, and appeal more to younger customers. Yahoo Finance says that an internal memo from Whole Foods CEO John Mackey says that the dozen 365 stores currently operating will remain in business, but that no new stores will open. The story notes that “Amazon has been rolling out discounts and weekly deals for Prime members who shop at Whole Foods stores. But in August, 40% of more than 2,000 Whole Food shoppers surveyed by Yahoo Finance said they believe the prices of products in stores aren’t really lower.” At the same time, “The discontinuation of the 365 stores comes at a time when Whole Foods is planning a national expansion. With support from Amazon, Whole Foods is looking to open more stores in locations with more than 45,000 square feet and eyeing sites that used to host retailers like Sears. KC's View: Pretty much from the beginning, I argued that the 365 format didn’t achieve any of the goals that Whole Foods set out for it … it seemed more cosmetic than tangible, and not nearly enough to make a real difference in how the company was perceived. Some of the locations were better than others, but in general, what I saw was disappointing. I thought when Amazon bought Whole Foods that it was possible that it would inject needed energy and vitality into the format. When Amazon opened Amazon Go, I thought that maybe they’d try to test out the checkout-free technology in a 365 store. But in the end, I suppose, the 365 format was just a distraction … and Amazon seems to have bigger fish to fry. The US Supreme Court has agreed to hear a case that pits the Food Marketing Institute (FMI) against the Argus Leader, a Gannett-owned South Dakota newspaper that has argued that it - and, by extension, its readers - have a right to know how much federal food stamp money goes to the nation’s retailers. The Argus Leader won its case last year in the , the Eighth Circuit Court of Appeals, but FMI successfully persuaded the Supreme Court to hear a final appeal. The case is Food Marketing Institute v. Argus Leader Media. KC's View: I’m afraid I part ways with FMI on this. As a taxpayer, I think I’d like to know which retailers are the greatest beneficiaries of the food stamp system … and, quite frankly, I’d kind of like to know what the retailers and their trade association would rather not be a matter of public record. Sources tell MNB that it is likely that the acquisition by Emart, South Korea’s largest retailer, of Good Food Holdings - which owns Bristol Farms, Lazy Acres Market, and Metropolitan Market - is expected to close soon. Emart is buying Good Food Holdings, which has been owned by Endeavour Capital, for a reported $275 million. It is Emart’s first move into the US. The deal does not include New Seasons Market, which also is owned by Endeavour but is part of a different fund. KC's View: These are three of the best independent operators on the west coast, and I’m glad that they’re going to have access to the kind of capital that will allow them to continue to grow and excel. I’d certainly prefer this deal to a sale of these companies piecemeal to some entity that doesn’t understand them and the kind of special stores they operate. The North Bay Business Journal reports that the California legislature will consider a bill that would ban the issuance of paper receipts by retailers unless consumers ask for them. The story notes that Assemblyman Phil Ting (D-San Francisco), the bill’s sponsor, argues that many businesses already are moving in the direction of e-receipts and away from paper. But, he said, “a law is needed because many consumers don’t realize most paper receipts are coated with chemicals prohibited in baby bottles, can’t be recycled and can contaminate other recycled paper because of the chemicals known as Bisphenol-A (BPA) and Bisphenol-S (BPS). KC's View: I’m sure that there will be those who will say that this is an “only in California” story, but this actually sort of makes sense … I’m not sure how much paper and chemicals it’ll actually save, but some is better than none, and it seems to be pretty much in synch with where technology and most customers are anyway. Yahoo Finance reports that Amazon-owned Whole Foods is considering former and closing Sears and Kmart stores as possible locations as it expands its physical footprint in the US. KC's View: It would be retailing malpractice if Whole Foods didn’t look at all these available spaces. But that doesn’t mean, as some seem to be suggesting, that suddenly there are going to be all these Whole Foods stores in all these locations where Sears and Kmart failed. I suspect that this is a fiction - or, at best, a fantasy - drummed up by real estate people who would like nothing better. But Whole Foods only is going to go into locations that make sense demographically and financially, and a lot of distressed real estate isn’t going to make the cut. For one thing, “one in three goods” were bought online. KC's View: I love that FT refers to the current state of British retailing by paraphrasing TS Eliot’s “The Wasteland,” suggesting that January, not April, may in fact be the cruelest month of all - since that’s when legacy retailers are able to calculate all the damage done to them by disruptive competition. • Digiday reports that as Target reported 5.7 percent same-store sales growth for November and December, up from 3.4 percent growth for the same period a year ago, it also said that its click-and-collect service handled 60 percent more items than a year ago during the holiday season. • The Associated Press reports that “more than four months after Missouri became the first U.S. state to regulate the term ‘meat’ on product labels, Nebraska’s powerful farm groups are pushing for similar protection from veggie burgers, tofu dogs and other items that look and taste like real meat. I noticed this story because Shelley Broader is one my favorite people in retail … plus, this is a good example of how the retail world is changing and how traditional bricks-and-mortar businesses have to adjust. If anyone can do it, Shelley can. Stephanie Lundquist, its chief human resources officer, has been promoted to the role of president of food and beverage. Melissa Kremer, Target's senior vice president of human resources, will take over as chief human resources officer. Katie Boylan, senior vice president of communications, was named chief communications officer. Rick Gomez, currently chief marketing officer, is Target’s new chief marketing and digital officer. Mike McNamara, Target’s chief information officer, has been named to also lead its enterprise data analytics and business intelligence teams. And Target also announced that Chief Financial Officer Cathy Smith will retire after a successor is named. Richard A. Coulter, who has been written about here on MNB from time to time, passed away yesterday. 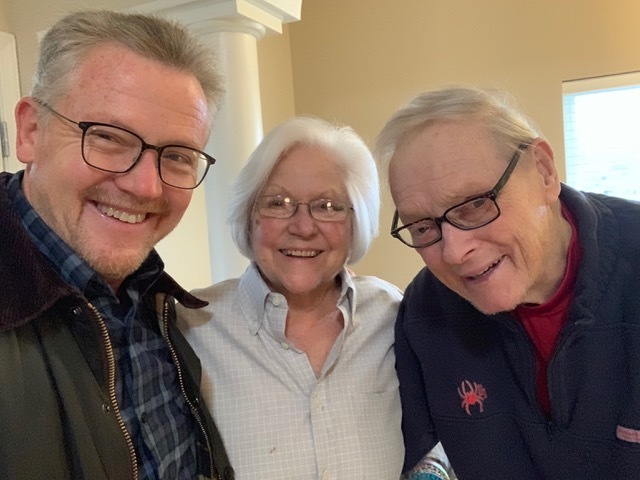 He was 84 and the cause was cardiac arrest - which is ironic, since to the people who loved him, his was an enormous heart that never stopped enveloping everyone he touched. I’ve mentioned Richard here on MNB because, when I was just a young teenager, he hired me to work in his clothing store - County Boys’ and Men’s Shop, in the suburbs of New York City. At County Boys’, Richard was an indomitable presence, outfitting young men and their fathers in suits and sports jackets, jeans and khakis, shirts and sweaters - always focusing on high levels of customer service and affordable prices that kept generations of families returning. Richard also employed many of his customers’ kids, teaching them about business as well as larger lessons about life. I was one of them, and I worked at the stores to pay my way through high school and part of college, and then on weekends when I was a newspaper reporter making under $7,000 a year and needed a second job to pay the bills. He taught me much about business, and much about life. There is a lot to say about Richard, and I haven’t processed it all yet. I’ve been asked to do a eulogy at his funeral - this was Richard’s request, with instructions that I am to make it funny - but the memorial service won’t be for a while, and so I have time. I do want to say one thing here that speaks volumes about Richard (and his wife, Linda). The County Boys’ and Men’s story did not end well; the stores were not able to keep up with changing customer preferences, and eventually they went bankrupt. There were creditors to whom money was owned, and Richard and Linda made sure that every debt was paid, in full. They even moved to Chicago to run a camp outfitting business, which allowed them to not just pay off all their debts, but also enjoy what ended up being a great adventure. In the early days on MNB, when FMI had its annual convention in Chicago, I used to host little parties at a place called Bin 36, just mentioning it on the site and hoping people would show up. Somehow, they always did … and so did the Coulters, who enjoyed seeing what that young kid who used to work in their stores had turned into. I remember that Neil and Jane Golub used to come as well, and the Coulters enjoying hanging out with them, sharing retail war stories. And it gave me enormous pleasure to see the confluence of people from different parts of my life. I saw Richard just a few weeks ago, before Christmas. While he was physically challenged, his spirt was there. And his smile - infectious and boisterous - remained, undimmed. That’s how I’ll remember him. Many years ago, after working at Wild Oats and while consulting at Whole Foods, there was zero company culture to manage retails. "Watch costs, but the margin is what it is" was legend. Early core consumers, and employees believed the purity of the mission was enough. Fast forward to the tipping point reached and Amazon knows what Costco knows: sell quality (or organic) at parity with conventional ... and the real tipping point is evident. Eureka moment for WF! Blending of cultures will make WF formidable. Kevin, I’m surprised you are surprised by this. When making your rounds and visiting business you should include a stop by the business restrooms to see what they are dealing with as well as a detailed walk of parking lots and surrounding landscape and evaluate the debris you find. This is a direct result of Starbucks opening its restrooms for anyone and everyone to use! I’m sure after doing this your shock will turn to sadness. Not good for patrons and employees! I actually make it a practice to check out retailers’ restrooms. But hypodermic needles are not something I’ve noticed. Sorry. Retailers seem to be falling over each other to attract on-line grocery ordering. Can we agree that the "expense" of a Kroger, Walmart etc. employee roaming the store (or warehouse) and assembling the items ordered by on-line customers is far more than the retailer expense associated with shoppers who go to the store and spend their time picking their own selections off the shelf and proceed to check out at the front of the store, often waiting in long lines? And worse yet, also expecting traditional shoppers to use self checkout? In my view, the traditional shopper is subsidizing the added cost to serve on-line shoppers. Adding insult to injury is my local Kroger offering special “clicklist" savings not available to "traditional" shoppers. In my view, ultimately the retailers who avoid these costly accommodations to online customers and thus don't have to pass such costs to traditional shoppers will win out. This free service is not really "free". The costs have to be recovered somewhere. It is not reasonable to burden traditional in-store shoppers with that expense. Just my three cents (inflation you know). I wrote last week about a terrible experience I had at a White Castle eating one of the new meatless Impossible Burgers that it is serving. Sorry to hear about your White Castle experience – it seems that maybe it is the opposite of Irving Street Kitchen’s ability to make anything taste good. (I’ve only eaten there once and instantly regretted it, even at 3 AM after more happy times). I am not a burger lover by any stretch but I did try the Impossible Burger at a NYC’s Bareburger, and have to say that it was really quite eye opening. Something I even re-ordered, as it is a highly passable veggie burger. Come down to NYC and try it sometime. Right there with you on In & Out burgers—it’s my go to place to eat a burger whenever I visit the West Coast or Dallas area. But growing up in St Louis, White Castle was the place to go for a bag of sliders. It was my kids first burger because they are so mushy and soft. Nothing better than 4 or 5 White Castles after a few cold beverages late at night. Not sure I would be a fan of the veggie burger either, but still every visit to the St Louis area always includes a stop at the Porcelain Palace. Just wish In & Out would make it to the Midwest. Kevin, have you considered talking to someone who actually goes to White Castle and that WC might be targeting with the impossible burger? You are admittedly in neither of these categories. For the record, I am a loyal reader but this really irritated me. In part because I know vegetarians and vegans who really enjoy this option. Other parts because your commentary reads annoying and self-righteous. This reminds me of a time when I was at a retailer and working with a CM who managed pickles/olives. As part of our normal engagement we would regularly sample products. We would invite other folks to the cutting to provide feedback. When the CM walks into a room and proclaims ‘ugh, I hate olives and pickles disgust me’… how do you think the CM responded?! How then do you think everyone else responded? I hope you don’t talk like this to your children. That would be a real shame if you SHAMED every attempt at something new or different. Since when does a new experience that doesn’t blow you away have to be described as the worst experience of your day? Quite frankly it makes you look like you lack objectivity. Not a good look. I take your point, but in my defense, I wasn’t actually trying to be objective … the whole point of a review is that it is subjective … I was stating my opinion having had the experience, and I’m perfectly willing to air opposing views. Also, to be clear, I like burgers, and I have no problem with a good veggie burger. While I’m not a big fast food consumer, that’s because I don’t think it is very good. I love In-N-Out, for example, because I appreciate the quality and the company’s defining culture. So I’m not exactly a pickle category manager who hates pickles. I just one who loves a good pickle, and hates it when I have a substandard pickle … and loves the opportunity to try a new pickle. We spent the new Year’s weekend at the MGM Park and were frequent visitors to the Eataly. I would agree with you that it is a Food Court on steroids but oh what a Food Court it is. Everything was stellar and so clean despite the crowds. Aside from the early morning and the very late night, Eataly was packed. I give it an A Plus for concept, relevance and quality. We were there daily for coffee, a snack or dinner. Of course we have spent the last week trying to recover from the food coma it put us in. The NFL Conference Championships are scheduled for next Sunday, with the Patriots traveling to Kansas City to play the Chiefs, and the Rams going to New Orleans to play the Saints … with the winners of those two games to meet on Sunday, February 3, in the Super Bowl.